Although I have spent little time in Lebanon, the tiny country captured a huge part of my heart. 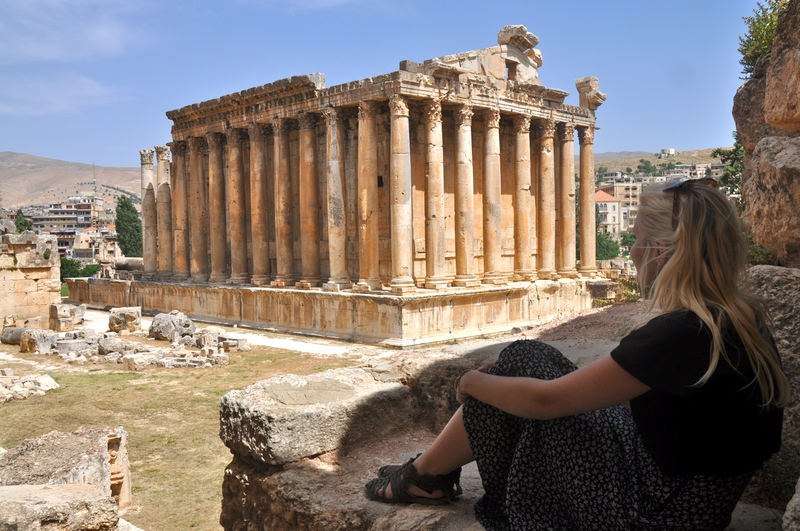 While I can recall every moment of my few days there, Lebanon’s premiere Roman monuments at Ba’albek were more stunning than I ever imagined. 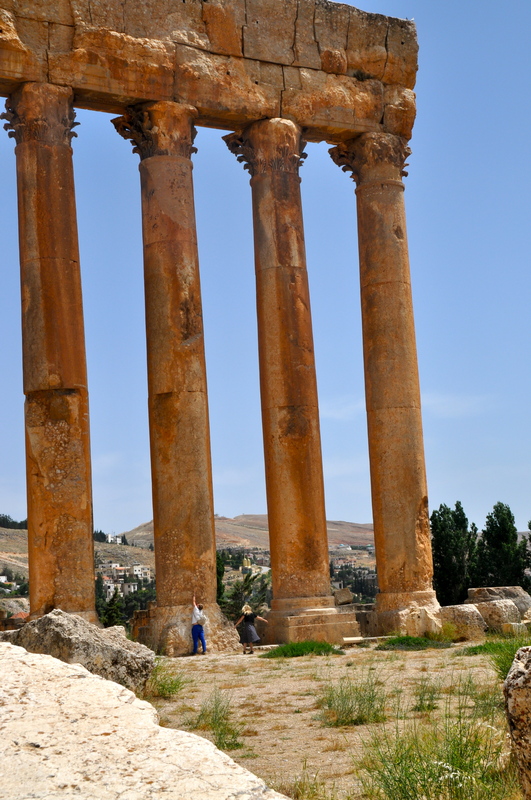 Before going there I read a biography of Saladin, who lived much of his life in the temple complex at Ba’albek. I couldn’t justify a trip to Lebanon that centred only on cold Almaza beer and dips in the Mediterranean, as enjoyable as they were, so my friends and I organised a hire car and set out by road. Ba’albek is situated in the infamous Beka’a valley, birthplace of Hezbollah and a hotspot for the Lebanese marijuana industry. It was an tense time to visit. Halfway there one of our crew mentioned the fact that a stray rocket from the nearby Syrian border had landed near Ba’albek two days prior, although no one was hurt. We also realised it was Friday (Muslim day of prayer and rest) and around 1pm (Friday midday prayers are the most important). We hesitated briefly, but decided to push on. Ba’albek’s stunning Shi’a mosque grabbed our attention. Its dual golden minarets and turquoise-blue tiling radiated in the midday sun. It is one of the most beautiful mosques I have seen and seemed out of place in such a modest looking town. 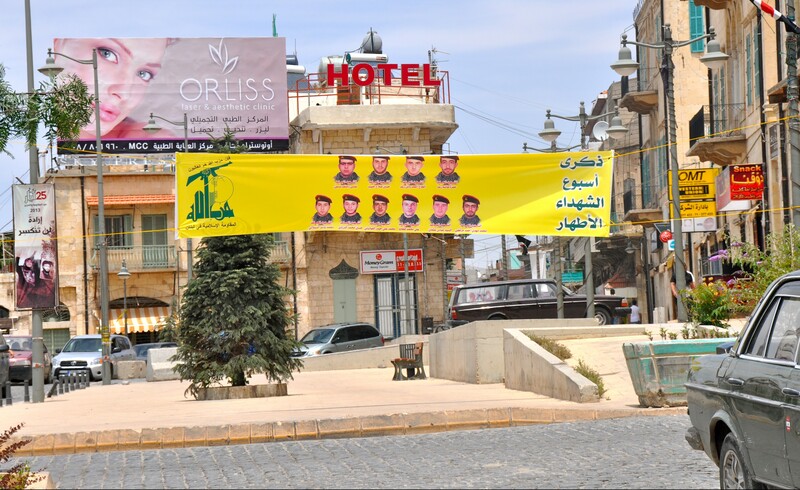 The roads around the mosque were closed and lined with banners commemorating Hezbollah fighters “martyred” in Syria. Banner with the names and faces of Hezbollah Soldiers killed in Syria. After consulting the closest man with an assault rifle I regretfully agreed not to photograph the mosque. The guard happily pointed me in the direction of the Roman ruins however, where despite the lack of tourists, a few keen vendors were still flogging Hezbollah t-shirts and flags. Having spent weeks visiting various Roman ruins in Syria and Jordan I thought I had seen all that I could of the Roman heritage scattered around the region. How wrong I was. Despite being partially toppled by earthquakes over the years, the grandeur of the structures at Ba’albek is breathtaking. Much of the complex has outlasted the earthquakes and has hosted operas and other musical performances for several decades, though the two-metre-high weeds dotting the site indicate it has been unused for some years. 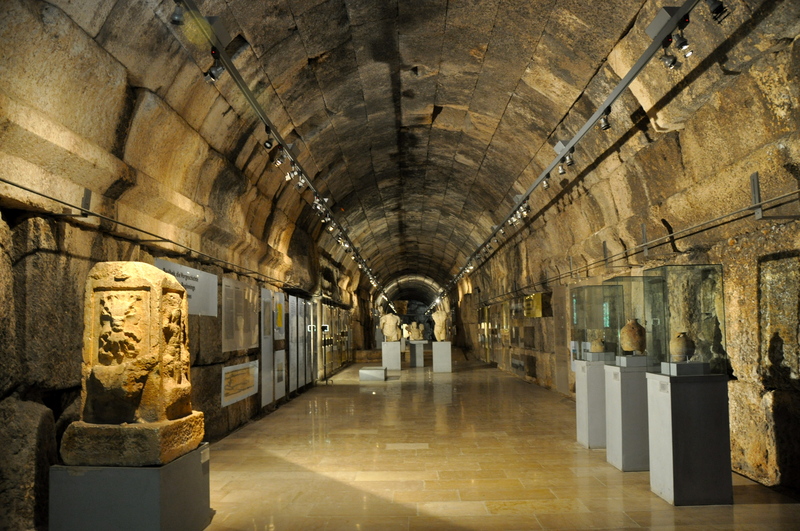 An impressive museum is housed in the ‘climate controlled’ subterranean tunnels built by the Romans. Entering it, you could be forgiven for mistaking the genius Roman construction for modern a section of the London underground. The tunnels are naturally climate controlled, cool in summer and warm in winter. The complex was still in use over a thousand years after the peak of the Roman Empire, as Muslim and Crusader armies fought for its strategic location. The temples built to worship ‘pagan’ gods have been appropriated over the centuries by both Muslims and Christians, who still co-inhabit the surrounding towns. We had the ruins to ourselves that day and took our time soaking up the scale of the buildings, ruined and standing. The child inside me imagined what it must be like to grow up nearby, playing and letting the imagination run wild through the stories of the ruins. Yet after outlasting so much history, Ba’albek today faces a threat even greater than earthquakes. 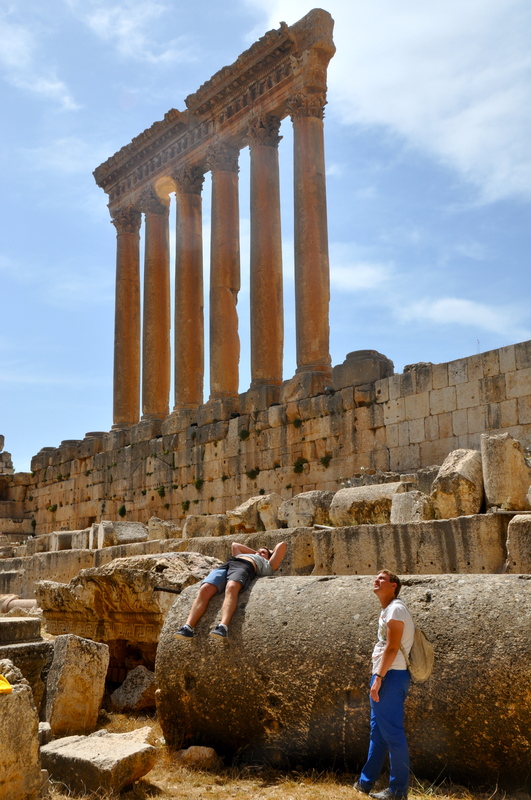 Syria’s war has not yet reached Ba’albek and tourists still frequent the site, yet the multiple threats facing the region’s history, culture and communities are immense. Hezbollah forces are the only real shield between the ruins and encroaching extremist Sunni militia such as ISIS and Jabhat al-Nusra. The very same who have made PR stunts out of destroying the ancient heritage of Iraq and Syria. The conflict waged by these groups not only threatens to destroy religious communities but the heritage and culture they have built their identity around, scarring the identity of the entire region and human history itself. Good piece of writing Alex and sad to think of this beautiful place being at the mercy of Daesh.